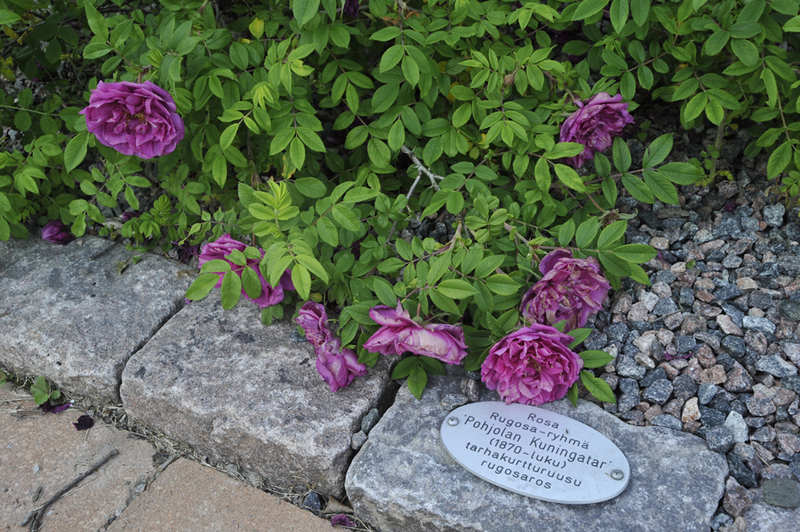 Edouard Regel, the renowned German-born head of the botanical gardens in St. Petersburg, reared a new double-flowered shrub rose from seed he had received from Japan. In 1876 he named it 'Tsaritsa severa', or Tsarina of the North. 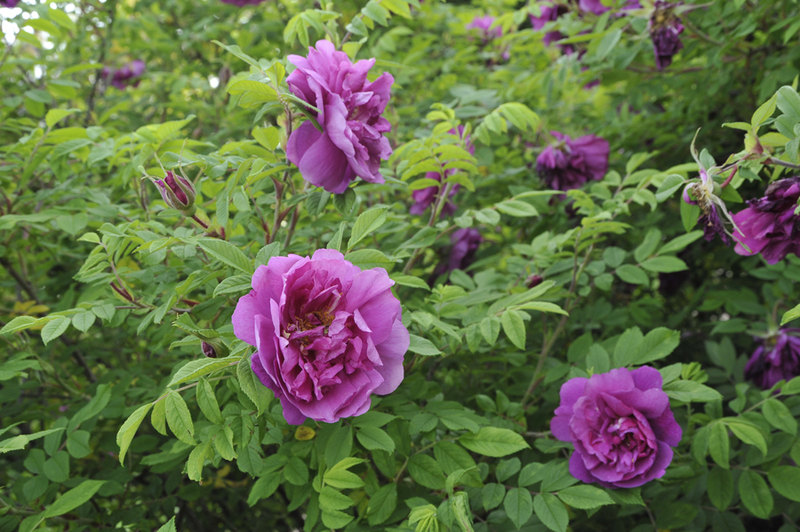 Later, it was planted in many gardens in Finland as well, but the cultivar then was forgotten when the Hansa rose, which is similar but with larger flowers, came onto the market. It was not until the 1980s that this excellent, winter-hardy rose was identified and renamed 'Pohjolan Kuningatar' ("Queen of the North"). In Helsinki, old shrubs can be found on Suomenlinna and in villa gardens. New plantings can be enjoyed in the rose garden at the Meilahti arboretum.